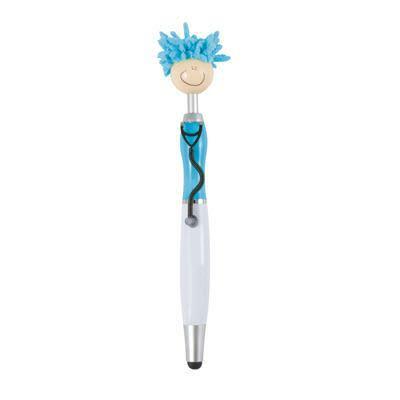 Push button ballpoint pen with stethoscope clip / stylus with microfibre hair, suitable for cleaning touch screen surfaces. Fun for all. Distinctive when sitting in pockets. 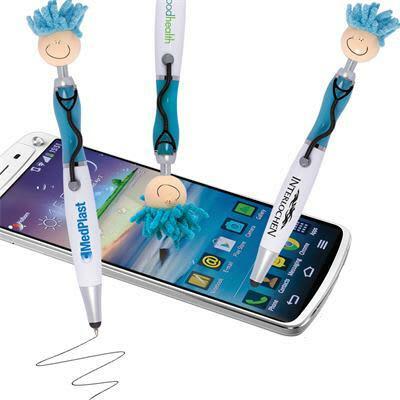 Mop Tops are a fun promotional item that grab attention.